The EFX® 863 with Converging CrossRamp® combines reliability with a natural converging stride path to give you the perfect elliptical for your facility. Carrying on the tradition of Precor reliability and service, the EFX is easy to clean and maintain with a covered ramp and rear drive housing, and the Active Status Light – all to improve your ownership experience. 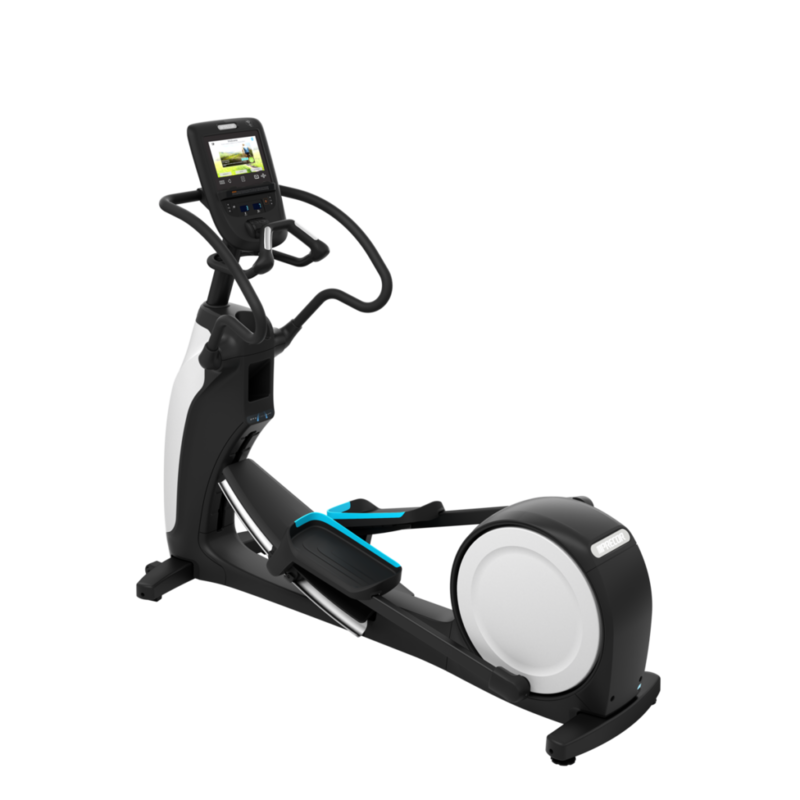 For exercisers, the EFX 863 combines the benefits of our patented CrossRamp® technology and fixed handlebars for a lower body workout. The adjustable CrossRamp® technology offers ramp inclines from 10 to 35 degrees to target different muscle groups for more workout variety. And, our unique converging stride path allows the exerciser’s footpath to converge naturally – just like walking or running. The EFX 863 is available in two frame colors: Silver and Black.